Friedrich Kuhn (1926–72) was a leading painter in the Swiss pop art movement of the 1950s and ‘60s, often called the Zürich School of the Little Mad World. Kuhn’s unusual work showcases his desire to create an individual style of painting that lies between figurative and abstract, while being laced with idiosyncratic references to modern and popular culture. Kuhn’s personality as a raucous maverick has often overshadowed serious interpretations of his work; Friedrich Kuhn allows us for the first time to consider both the legend and the art in context. 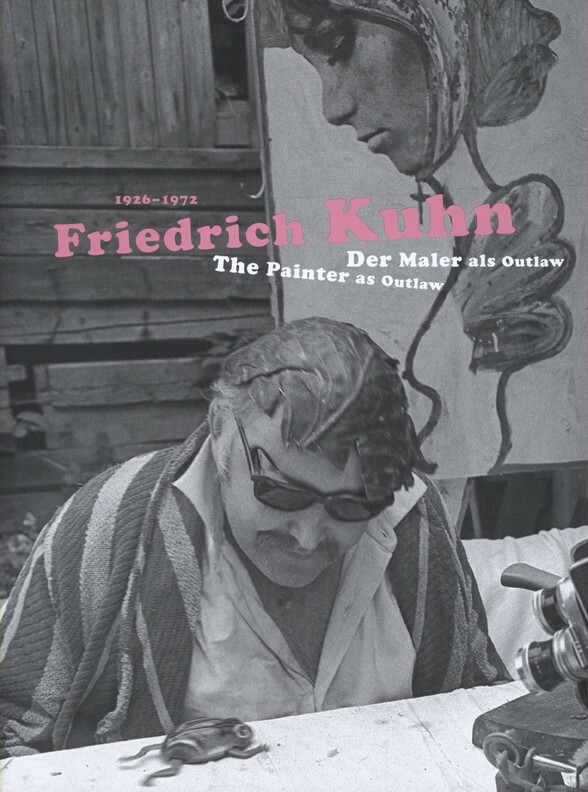 Designed to accompany a vast retrospective exhibition of Kuhn’s work at the Kunsthaus Zürich, this richly illustrated book reassesses Kuhn’s paintings as early ambassadors of Swiss art that prefigured trends that continue to shape the international art world today. Including many previously unpublished paintings and photographs of Kuhn’s art and performances, the book also presents new essays investigating his work and the myths surrounding his life story.